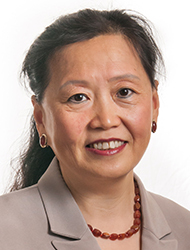 Dr. Wang is a clinical supervisor at Bastyr Center for Natural Health and a core faculty member in the Department of Acupuncture and East Asian Medicine at Bastyr University. She also has a private practice on Mercer Island. Dr. Wang's clinical interests include gynecological disorders, internal medicine, cancer treatment, autoimmune disorders and pain-management. Dr. Wang truly listens to patients in order to understand the reasons for health concerns. She then uses traditional healing therapies to treat the whole person and to stimulate the patient's innate healing power (otherwise known as "qi"). Dr. Wang worked as a physician at First Hospital of Harbin Medicinal University and Hospital of TCM of Heilongjiang University in China from 1983 to 1993. She has worked with a variety of clinical conditions, including internal diseases and cancer care.